Look out, people, the Mafia is in the corner. There is nothing to worry about, though, for this Mafia is a peace-loving one its members bear no guns and juju. They bear good vibes. Who wouldn’t want good vibes? The only one supposedly missing here is Davolee. But that’s by the way. The troika of Limerick, Yomi Blaze and Picazo still made a commendable outing. They may be young in the game, but they have displayed remarkable artistry for one to look forward to their flowering. Picazo was signed in October 2018 and wasted no time in releasing “Macaroni,” which featured label boss Olamide. Yomi Blaze followed the same path, releasing “IKA,” which also featured the YBNL boss. 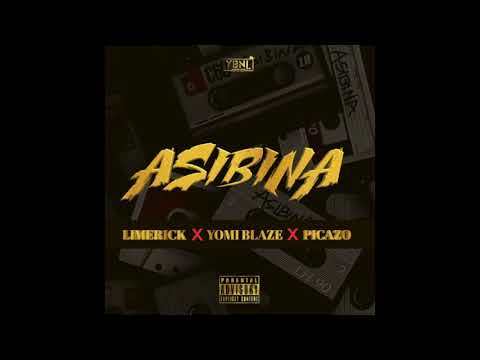 Stream and download “Limerick, Yomi Blaze, Picazo – Asibina” below, share on social media and join the conversation by dropping your thoughts in the comment section.